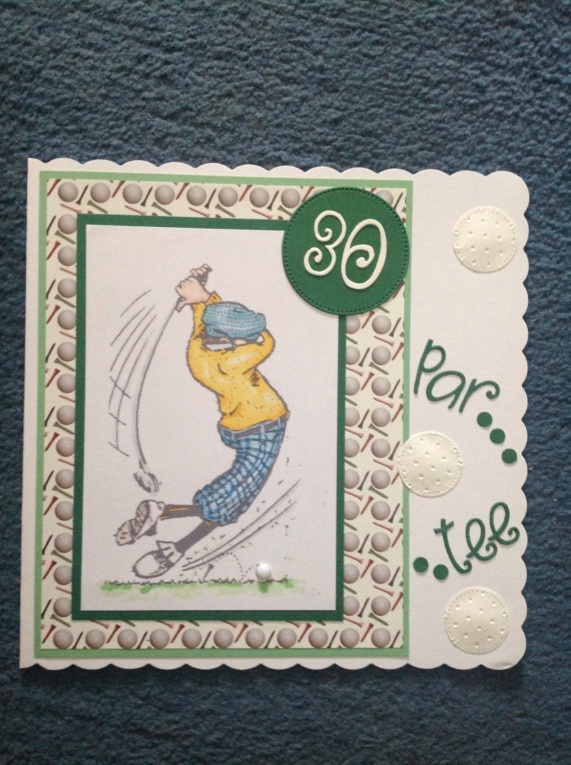 I'm making card for nephews 30th birthday, he plays golf to a high standard so found image/paper. Wondering how to make right side where par tee is look better. Any brainwaves? The letters etc not yet stuck down, only the image on backing and paper on backing. Nothing attached to card. I have a white gem to add to the picture for the ball. You may be onto something there Ruth, wonder if I can get any stick ons that actually look like golf balls - the gem I was going to use is plain. Another seller (dearer) says the golf ball brads are 15mm across, so possibly too big. Have you got any Craftwork Cards Candi in white, or even a tiny circle punch? Use a piece of fine embroidery backing fabric, such as linen, and press through the holes with the end of a knitting needle to make indentations. 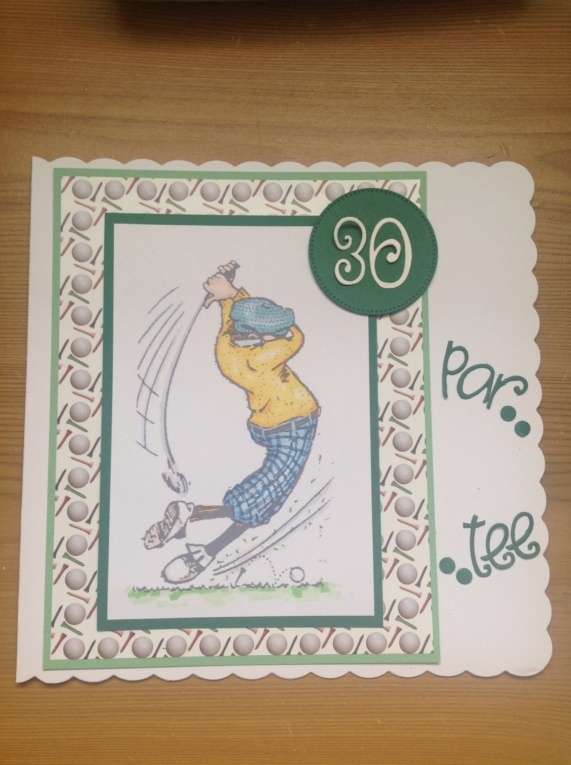 Double mount the 'words' par tee on flag shaped card? Looks great, we do fuss about these things, knowing that they'll give it a glance and no more. It's fab, stress not. Lol, we do indeed Karelyn. Flags may work, thanks. Well I played with a couple ideas and finished up with this. Golf balls made with diecut circles, embossed dots with cuttlebug folder. Put a small foam pad under them to raise slightly. Fab card, hope it likes it.